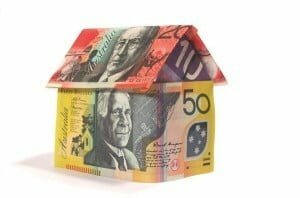 Have you ever considered a refinance of your home loan? Refinancing your loan is literally paying off your existing home loan and replacing it with another. If it reduces your mortgage payment, shortens the term of your loan or helps you build equity more quickly, it can be a good idea. However, tread carefully and understand all the implications before you start the refinancing process. So, what are the benefits of refinancing? Making a home loan refinance work for you can open up opportunities to invest, save money or pay your mortgage off sooner. Chasing a lower interest rate should not be the reason for refinancing, you need to keep the entire life of the mortgage, not just the first few years in mind. What may seem like a good idea now may not benefit you in the long run. A refinance is actually taking on an entirely new mortgage. And so the paperwork, appraisal, application and lawyer fees all still apply. Before you go ahead, make sure you fully understand the costs that are involved in refinancing your mortgage. You should also work out how long it will take you to get back out in front. If you plan to move at some stage, or if you only have a few more years on your current mortgage, it may be worth holding on. If you’re consolidating debt, there may be other options that will pay off in the long-term, your broker will be able to tell you what’s possible. You may be interested in buying an investment property, provide education for your children or you may want to renovate your current home. Refinancing may allow you to access equity in your home – but make sure you do your homework. Did you know what you can also do a ‘partial refinance’? And don’t discount your current lender, they are keen to keep you as a customer, and so may be able to offer you a better outcome. Ultimately, it will be best to consult an expert – your mortgage broker will be able to tell you if refinancing is right for your situation, or offer you other options that may be preferable. Refinancing could save you thousands of dollars.